International Working Women’s Day is steeped in the radical history of women demanding improvement in our daily lives and in our working conditions. IWWD dates back to 1857 in New York City. Women garment workers went on strike to demand a 10-hour working day, better working conditions and equal rights. In honour of this strike, another was held in 1908 by women needle trade workers. They demanded voting rights and, an end to sweatshops and child labour. Two years later, the socialist, Clara Zetkin, proposed that the 8th of March be commemorated as International Working Women’s Day. It was first celebrated nationally in the Soviet Union after the https://www.wsm.ie/russian-revolution, a revolution which began with a strike of women textile workers. 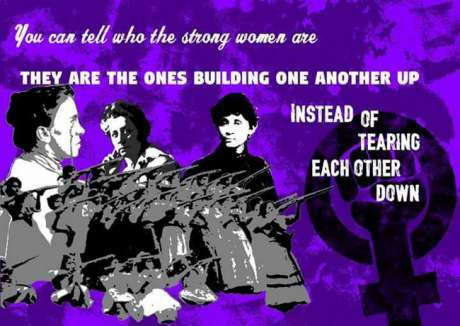 On https://www.wsm.ie/iwd, women stand in solidarity with each other against oppression. We demand control over our lives. We demand https://www.wsm.ie/c/anarchism-oppression-exploitation-policy. We demand freedom.